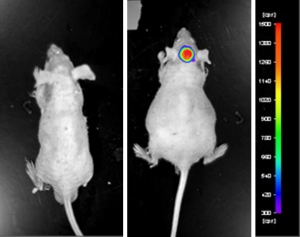 Subcutaneous xenografts are the most widely used preclinical models for cancer therapeutics. The SK-HEP-1 cell line derived xenograft (CDX), with mutations in BRAF and CDKN2A, rapidly forms subcutaneous tumors that can easily be measured by calipers to determine therapeutic efficacy. Along with its use in monotherapy or combination therapy approaches, the SK-HEP-1 CDX model is utilized in studies addressing the mechanism of action or reduction of tumor growth (e.g. ABT-869 or rapamycin).